Birding Is Fun! : Wilson's Snipe at Conneaut Marsh! After spending a day birding at Presque Isle State Park in Erie, I stopped by Conneaut Marsh to do a quick scan before heading home. I have heard of folks birding Conneaut Lake, which is north of the marsh, but have never heard reports from the marsh. I found the location while using the hotspot feature on BirdsEye. I figured it would be worth a stop as it was only a few miles out of our way. As we pulled into the parking area, I could not see much in the way of waterfowl in the marsh. After a quick scope of the marsh, I still did not see much in the way of waterfowl. I was able to scope one Canada Goose and three Mallards though. As I was scoping for ducks, I did hear a few Killdeer calling near the back of the marsh and counted five throughout. One last scope over the marsh yielded the biggest surprise of my time spent at the marsh, a foraging Wilson's Snipe! I usually find Wilson's Snipe by flushing them, but this was only the second time I have seen one foraging on the mudflats. While watching this snipe forage, I noticed another bird behind it that turned out to be another Wilson's Snipe! 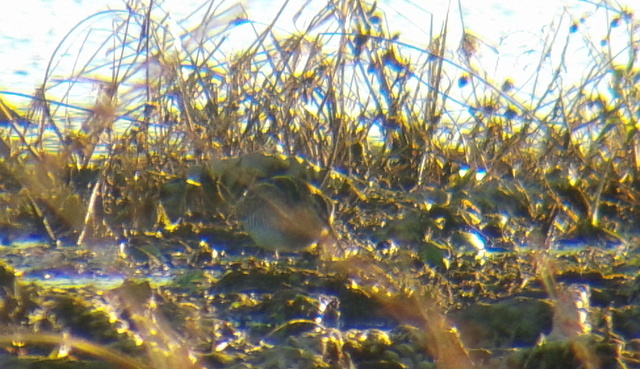 I scanned the mudflats more thoroughly and counted one, two, and three more snipe! 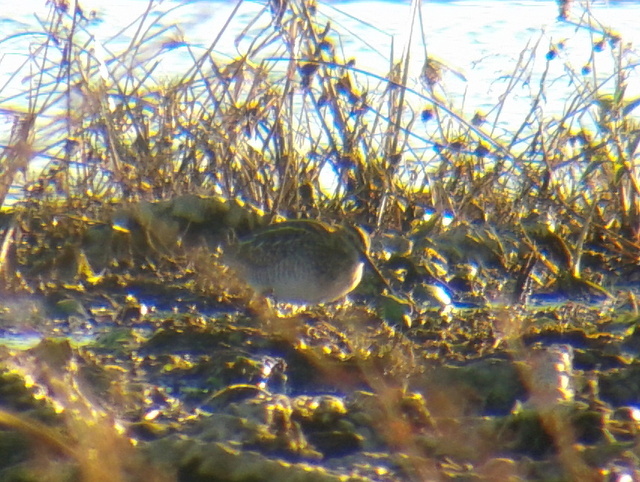 In the end I tallied 17 Wilson's Snipe in all! This proved to be a high count in eBird (You do eBird right). All of the snipe were probing their bills into the mud in search of worms or larval insects. I hope you enjoyed my first post on Birding is Fun! Thanks to Robert for allowing me to contribute to this awesome bird blog. Birding is Fun, isn't it?! Post by Tim Schreckengost of Thermal Birding. Way to snipe the Snipe with your scope! Good for you, nice sighting. Congrats on publishing here. Welcome to the BiF Team Tim! Congrats on your first post and thanks for sharing your birding enthusiasm. That many Wilson's Snipe in one place is a great sighting anywhere. Fabulous find ... all 17 of them! Very cool! Congrats on the Wilson's Snipes! They are so hard to see among the vegetation. The first time I saw one I had stopped at a flooded field and wondered what birders with scopes and bins looking at. Someone pointed the bird out to me. I had look again and again to finally see it, and then I saw them everywhere skulking through the weeds.